The world constantly throws up new challenges about what it means to be Christian and to live a distinctively Christian lifestyle. The priest, broadcaster, writer and ethicist Samuel Wells considers some of the biggest contemporary political, social and moral challenges and grapples with them in the light of Christian hope and wisdom. Under three headings - Engaging the World, Being Human, and Facing Mortality - he probes a wide range of issues including the rise of religious extremism, migration, ecology, social media, sexual identities, inequality, obesity, life stages from childhood to old age, dementia, facing death and much more. This striking and profoundly wise book sets out to shape a theological imagination and fluency that is grounded in the reality of being human in a suffering world and yet open to transformation by the life and wisdom of God. How Then Shall We Live? by Samuel Wells was published by Canterbury Press in June 2016 and is our 23940th best seller. The ISBN for How Then Shall We Live? is 9781848258624. Reviews of How Then Shall We Live? 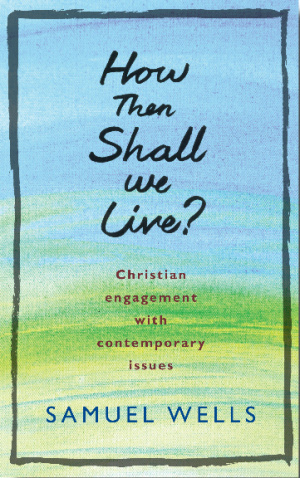 Be the first to review How Then Shall We Live?! Got a question? No problem! Just click here to ask us about How Then Shall We Live?. Details for How Then Shall We Live?